If you are looking for the perfect place to relax at the beach & spend time with your family, "Liberty Call" is a great choice. 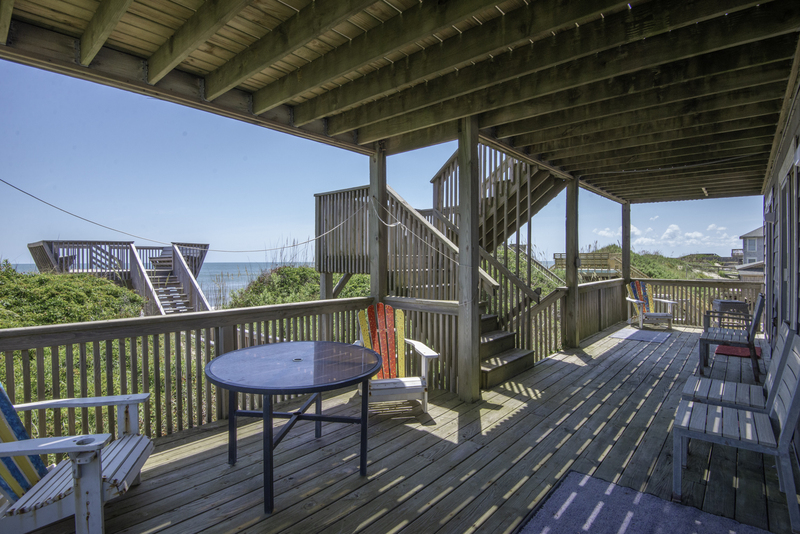 This outstanding home is beautifully decorated, spacious & provides panoramic views of the Ocean to the east & Jockey’s Ridge State Park to the west. The reverse floor plan configuration, with the main living/dining/kitchen area encompassing the entire top level, maximizes views & provides ample space for all to gather & enjoy time together. 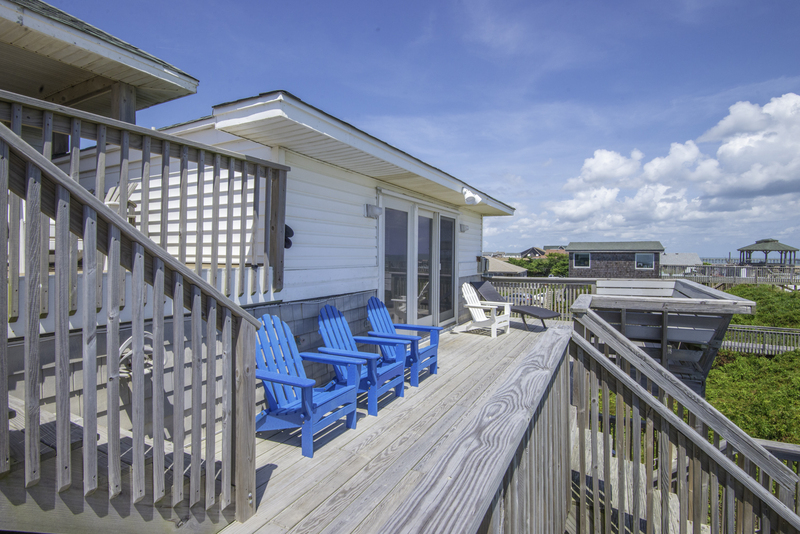 Your group will love the relaxing & comfortable atmosphere, hardwood floors, sun decks, covered porch & endless ocean views. There is a Ship's Watch for some quiet time reading a book or just unwinding, Hot Tub, & a Rec. Room w/Ping Pong & TV area that everyone will appreciate. 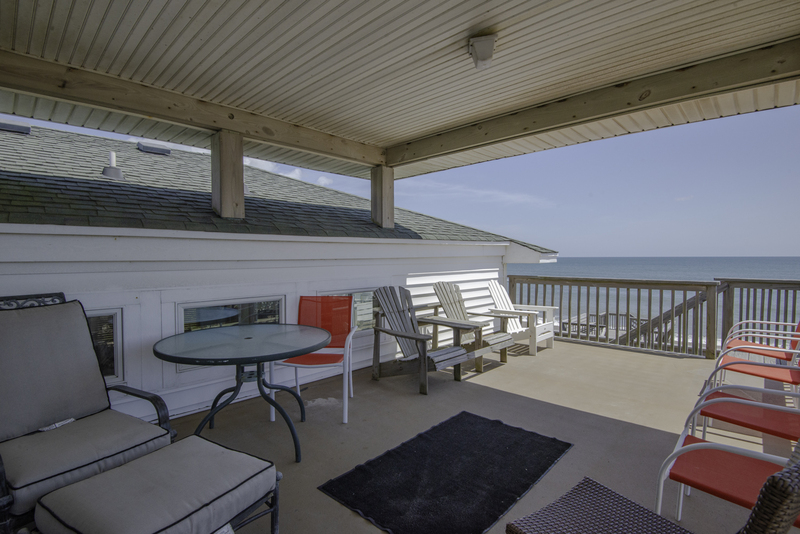 This home is lovingly cared for & has a wonderful location that is convenient to all Nags Head has to offer. 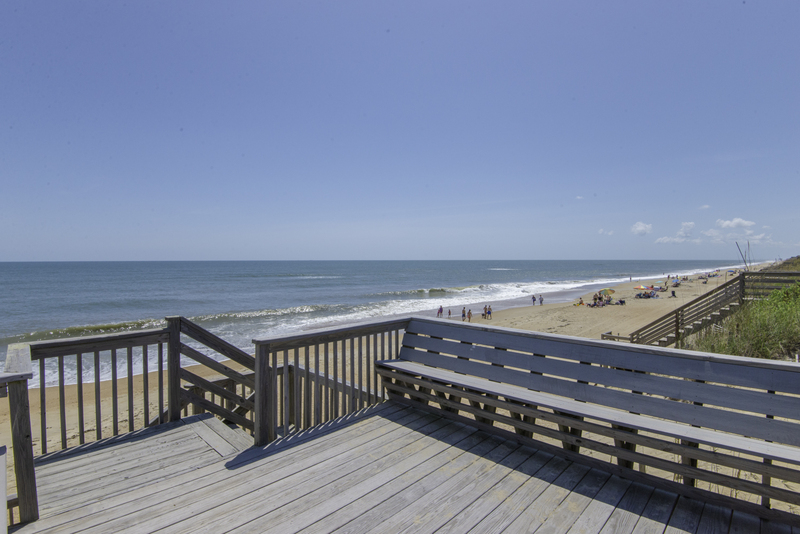 Great restaurants, shopping & attractions are all just a short drive away. 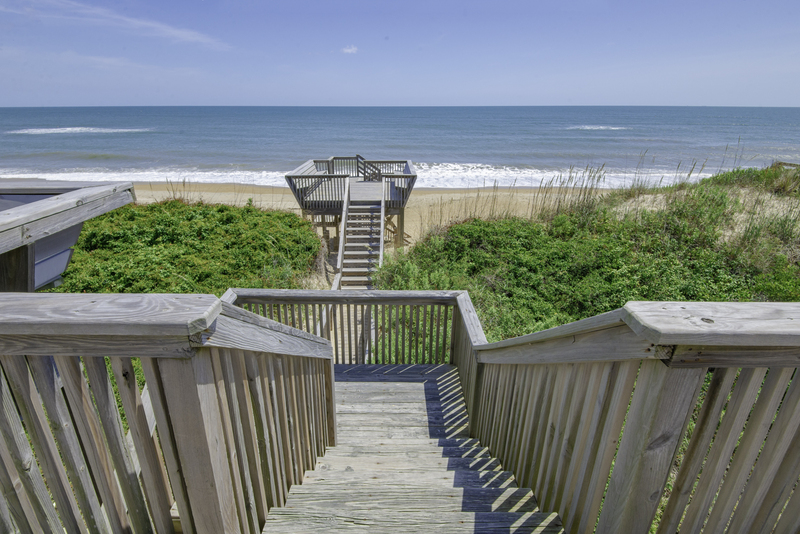 Get up early for a spectacular sunrise over the Atlantic, spend the day hunting for shells on the beach & then watch the sunset over Jockey's Ridge, the largest sand dune on the East Coast. This home is true gem & is sure to please. Like to Golf? Each Rental Guest receives Kilmarlic Golf K Club Privileges. Ground Level: Parking for 5 Cars, Covered Entry, Rec. Room w/Wet Bar & Mini-Refrigerator, Stereo, Flat Screen TV w/DVD, Ping Pong Table, Master Suite w/Queen, Flat Screen TV w/DVD, & Full Bath, Half Bath leading to Enclosed Outside Shower, Gas Grill, & Hot Tub w/Privacy Enclosure. 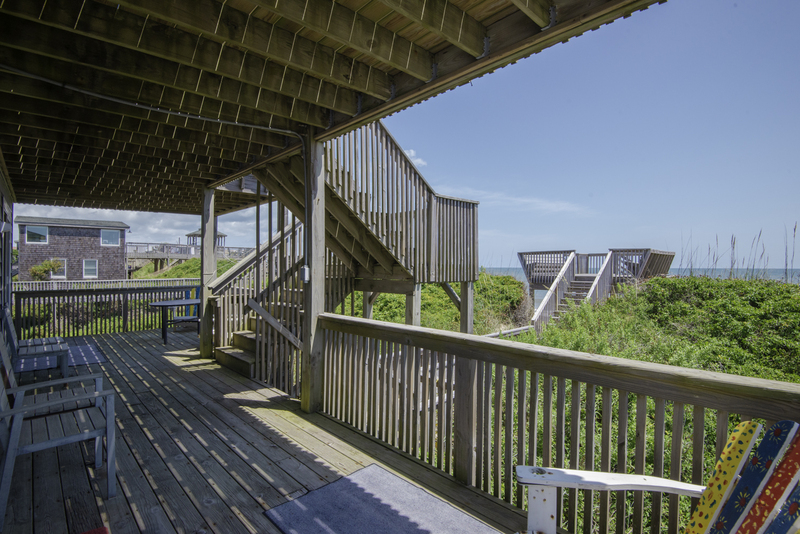 Mid Level: 4 Bedrooms (2 Master Suites w/Kings, Flat Screen TV’s w/DVDs, Full Baths (1 w/Jacuzzi), & Ocean Views, Master Suite w/Queen, Flat Screen TV w/DVD, & Full Bath, & Master Suite w/2 Duo Bunks, Flat Screen TV w/DVD & Full Bath), & Covered Deck w/Walkway to Dune Top Deck w/Built-In Seating. Top Level: Huge Living/Dining/Kitchen Area w/Hardwood Floors & Tile in Kitchen, Tile Counter Tops, Well Stocked Kitchen, Wet Bar w/Mini-Refrigerator, Flat Screen TV w/DVD, Home Theater System, Gas Fireplace, Half Bath, Sun Deck w/Deck Furniture & Awesome Ocean Views, Steps to Sun Deck w/ Deck Furniture, Covered Deck w/Furniture, & Ships Watch. 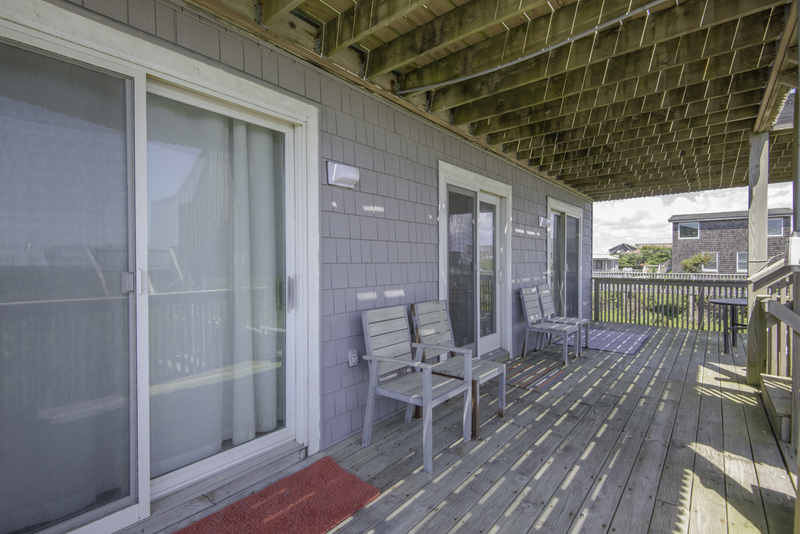 Features include: C/AC & Heat, Full Size Washer/Dryer, Dishwasher, Microwave, Phone, 7 Flat Screen TVs w/DVDs, Wireless Internet, & Ceiling Fans. Located Next to #040. No Pets. This is a Non-Smoking Unit. Impeccable vacation home! 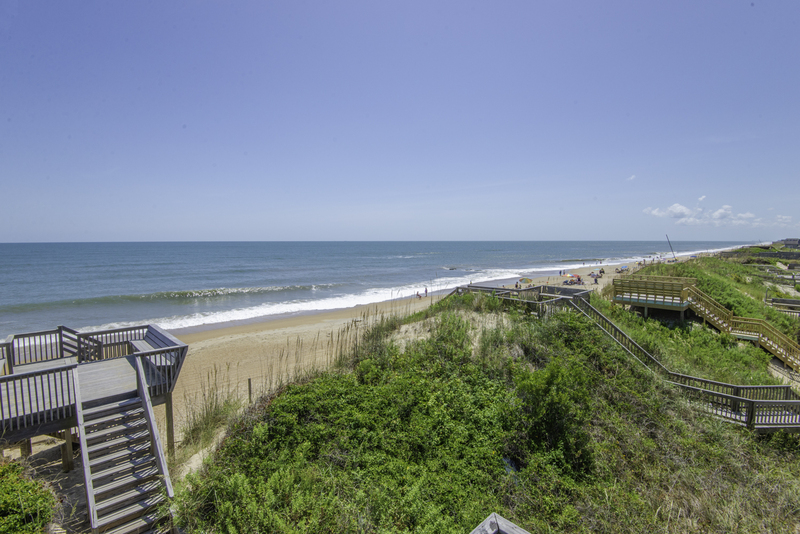 We celebrated the graduation of a member of the family from college and also our 32nd consecutive year at OBX and were so pleased we did so with Joe Lamb staying at Liberty Call. 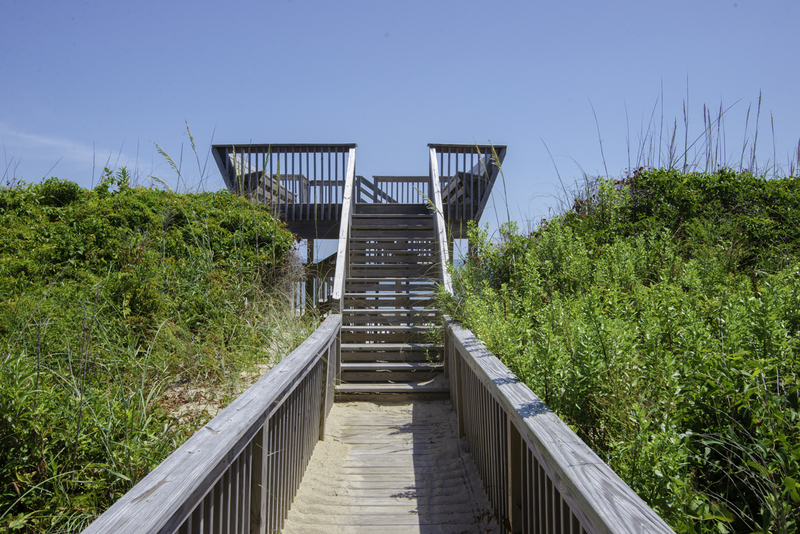 One of the best vacation homes we have stayed--and we stayed at many!! Loved the openness of the top floor. View and seating accommodations just terrific. I would suggest a crock pot in their very well stocked kitchen!! The house it self was fantastic! We enjoyed our stay! The house was great and our family had a wonderful time! The layout is great and having a bathroom for each bedroom really helped. We will definitely be back again next year! Best equipped kitchen we have even encountered in a beach/vacation home. Like the upgrade of furniture in family room. Nice replacement of decking! This is an amazing house and has zero drawbacks. 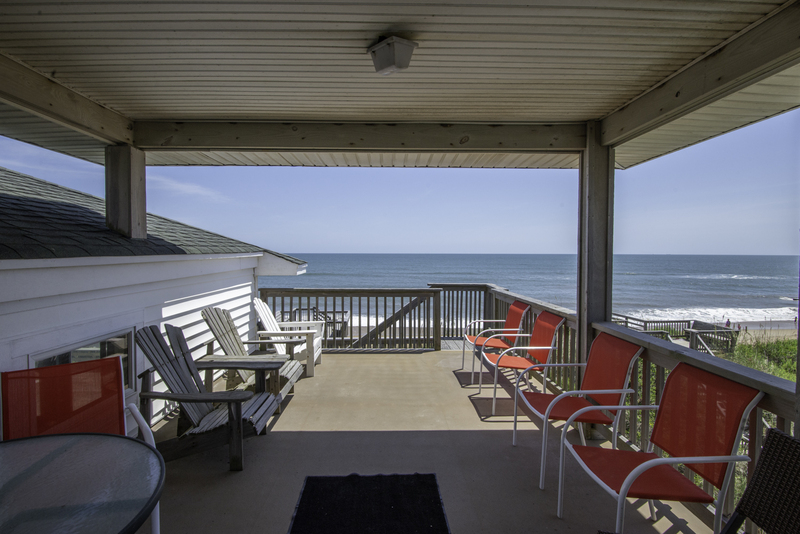 You cannot go wrong with the most amazing view and accessiblity to the beach. The house has everything you could want! A must stay! Love the house, as we have stayed there many times. It is a biannual vacation for our family. 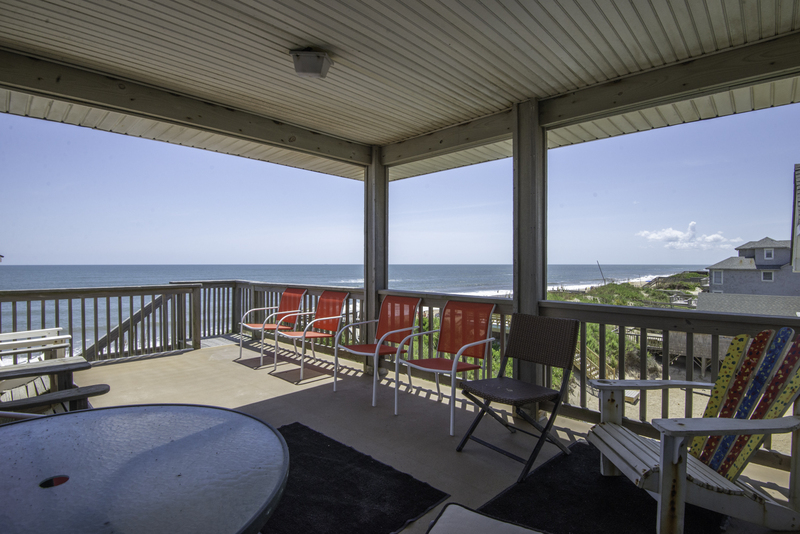 The location is excellent for our family, wonderful living area and views. The layout of the house and the furnishings inside and out are great for a large family. 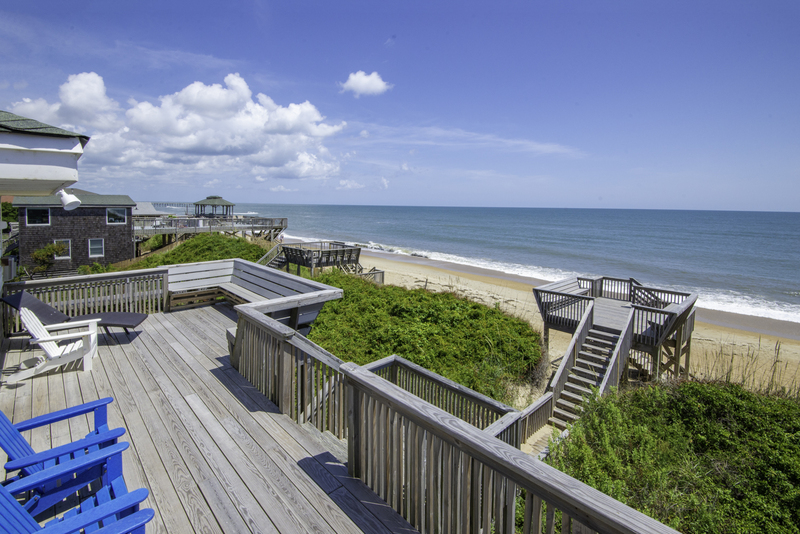 The location and view of the beach are great. This is an absolutely wonderful home! 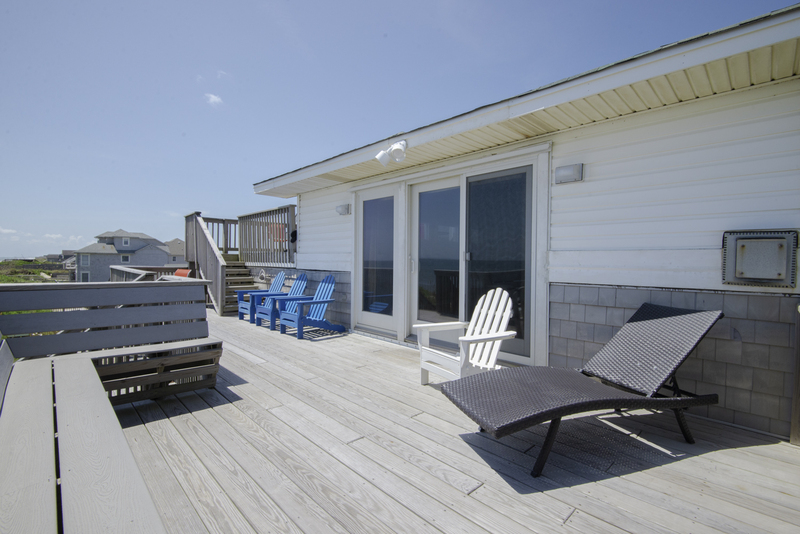 The hot tub and beach access made the stay incredibly relaxing, and the spacious living room can accommodate large families. 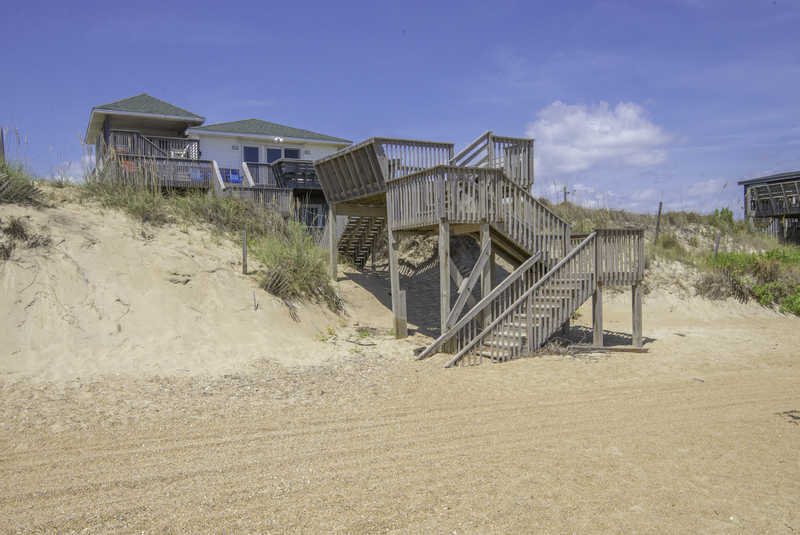 We absolutely loved our stay in Nags Head at this beautiful home! The home is ideal. The fact that each BR has its own bathroom is appreciated and the roominess on the main level is great. 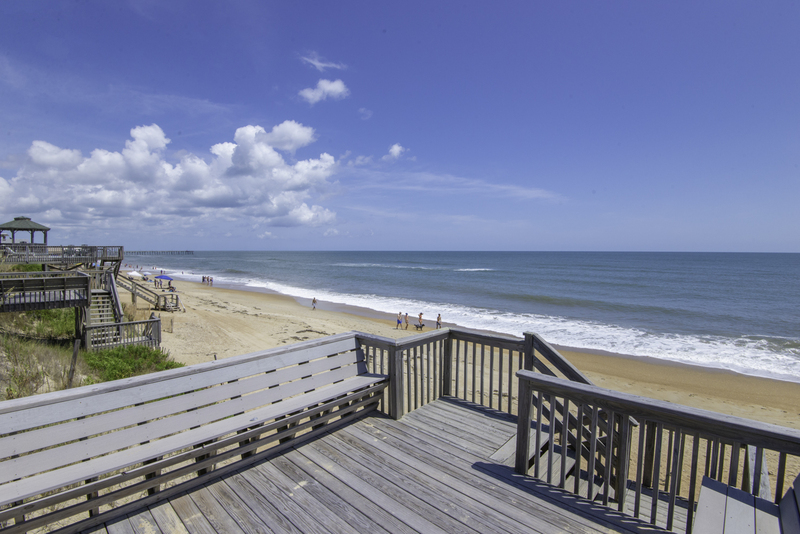 We consider this location of beach to be the best in Nags Head. Good use of space. Main living area nice and open and plenty of room for everyone. Location is ideal. 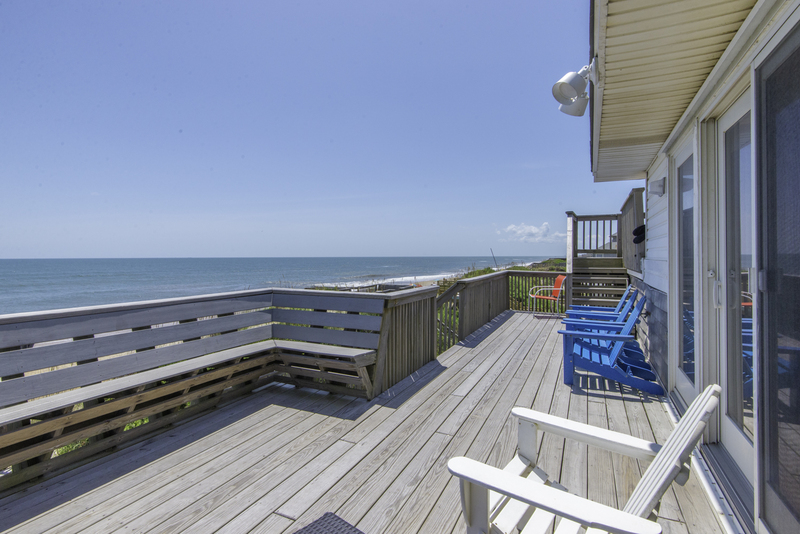 Oceanfront with perfect view and short walk to the beach. 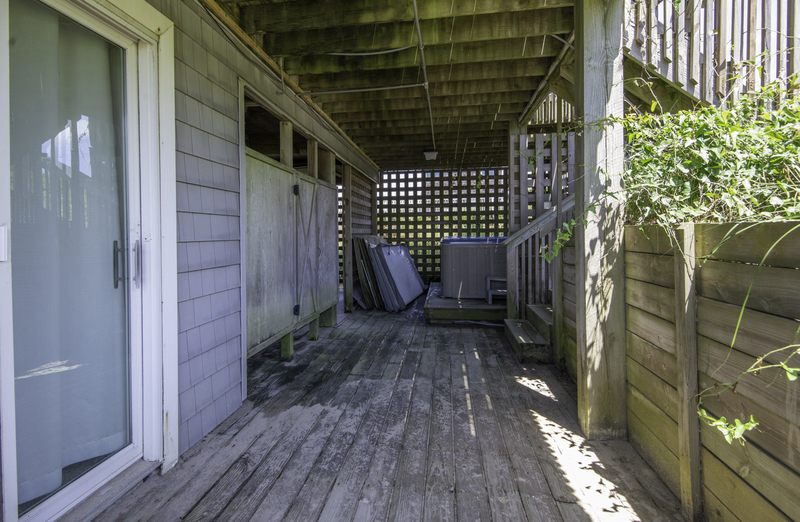 A lot of good deck space. We would stay here again. The kitchen was extremely well stocked and organized--I liked to fact that shelves and drawers were labelled with contents so that we knew where things were supposed to go. Very nice, well maintained house.